As we discussed the story, what I found interesting were my student’s assumptions about the setting. A few of them assumed that it took place in a post-apocalyptic future. After all, the setting had no overt technology with which to place the story in time, and they couldn’t imagine this happening anytime in recent history. (I also suspect their reading was colored by Octavia Butler’s “Speech Sounds,” which we had read the week before). However, my students all agreed that this story was not realistic that it could not happen in our world or at least in our culture. Jackson seems to be mainly known as a horror author and with good cause. She has great talent for creating unnerving atmospheres where her reader is waiting for things to go wrong. In her more famous and one of my favorite books, The Haunting of Hill House, she creates an atmosphere so oppressive and so off kilter that I when I first read the book I was terrified before anything had happened. And lets not forget her mastery of prose, I could swoon over the first paragraph of that novel. Without a doubt, Jackson is great horror author. However, the thing about genre fiction, like horror, is a lot of readers (and those who don’t read the genre but are still very vocal about it) tend to treat this all as pretend, which is true to a certain extent. After all, we know that we don’t need to worry about vampires or the elder gods. But the assumption that it could not happen in the real world is sometimes applied to more realistic works, like Stephan King’s Cujo. When in reality, it is unlikely but still possible. This reason seems to be why my students saw “The Lottery” as fantastic. People just don’t kill their neighbors for the bad luck of drawing a piece of paper with a black spot. I was inspired by my class to read The Lottery and Other Stories. Taken in the context of the collection, “The Lottery” no longer is as easy to separate from the real world as it was before. Throughout these stories, Jackson shows people going about their daily lives and the myriad of ways that they are isolated and isolate others. The main source of apprehension I felt reading these stories is the petty cruelties that people visit on each other. The stories are in our world, but there is still a sense of uncanny about them. In “Daemon Lover” a young woman tries to track down her fiancé, but we are left wondering if he ever existed in the first place. In “The Renegade” we see a housewife’s growing distress as her neighbors and eventually her own children delight in the fact that her dog, who had killed some chickens, must be put down. Jackson shows how the city allows people to grow indifferent to each other, and how they can become lost in the crowd. Jackson also show how the country allows people to form close-knit communities that exclude and shame outsiders. By the time the reader gets to the titular story, it’s all too clear the “The Lottery” could take place in our world. The cruelty and inhumanity seen at the end has already been shown in small increments elsewhere. 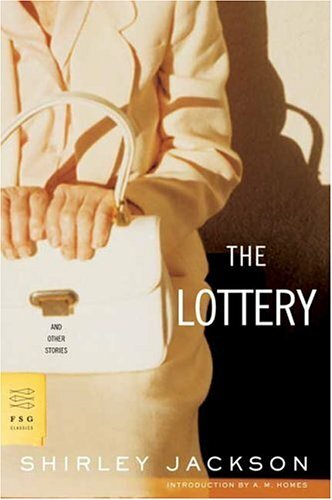 While I have always read “The Lottery” as being about how tradition allows us or drives us to do some so pretty awful things, Jackson’s short story collection shows the many small ways that pettiness and clannishness leads to atrocity. When we wonder how groups of people can get together and do terrible things, Jackson answers us in these short stories. She tells us that the small and petty crimes we commit against each other everyday add up, until we, without a thought, throw stones at neighbors we’ve known our whole lives.